We are so excited to announce that Twilight Glamping has landed at the stunning Terindah Estate winery! 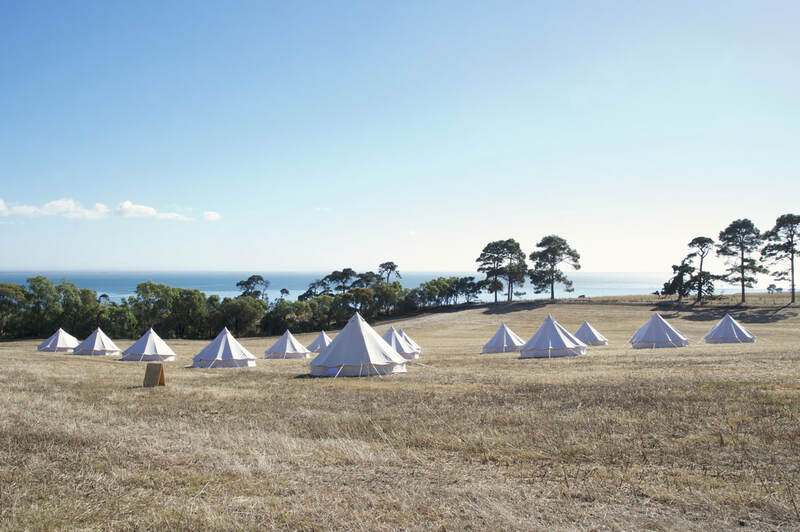 A village of 15 luxury bell tents offers an experience with sea views to die for! If your idea of the perfect getaway is delicious food and wine, waking up to breathtaking views across the across the ocean, access to a private beach, pink sunsets across the bay and picnics in the vines, this might just be for you! 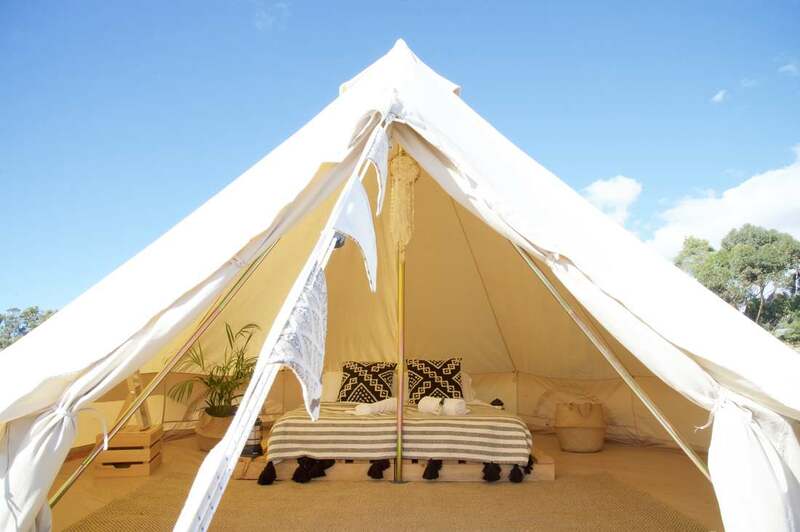 Your Twilight Glamping Bell Tent comes complete with: Luxury queen or twin mattresses with pallet bed base Crisp bed linen, blanket and towels Warm Light USB lantern 2 chairs Side table and mirror Natural jute rug $200 per night.